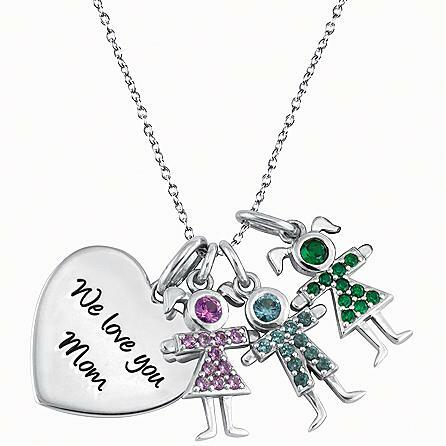 A delightful spin on family love she’ll wear with joy. 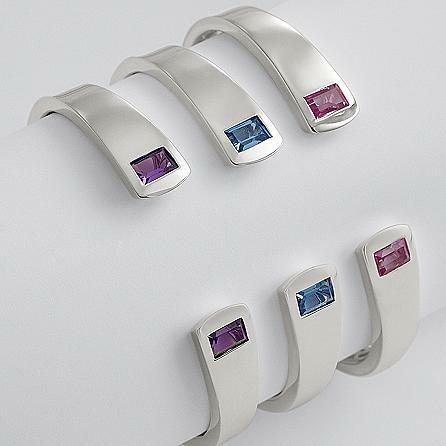 Five cubic zirconias add dazzle to this sleek, modern design. 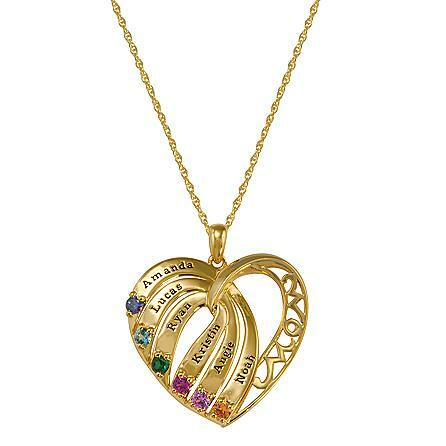 Accented with five .04K cubic zirconias. 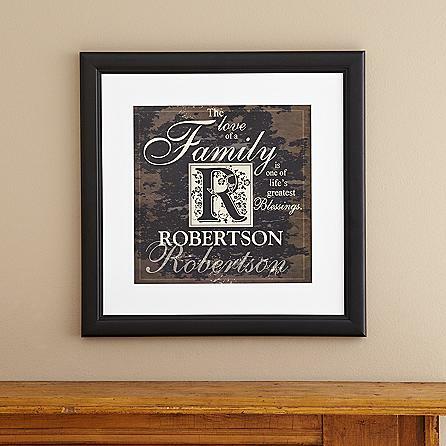 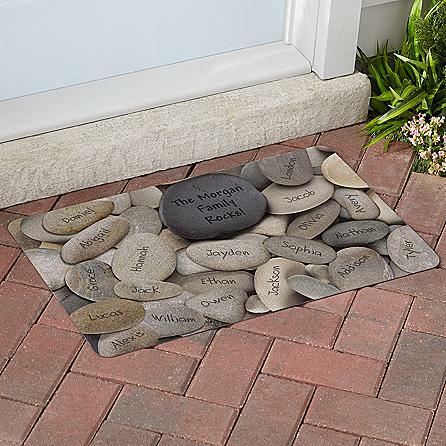 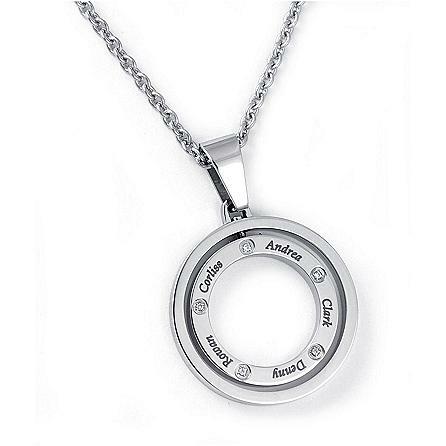 Engrave with 2 to 5 names up to 7 characters each. 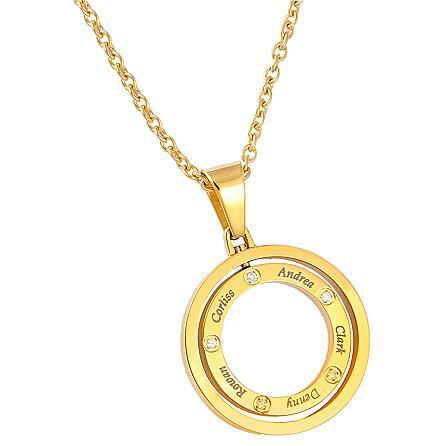 17"L oval link chain with oval clasp closure. 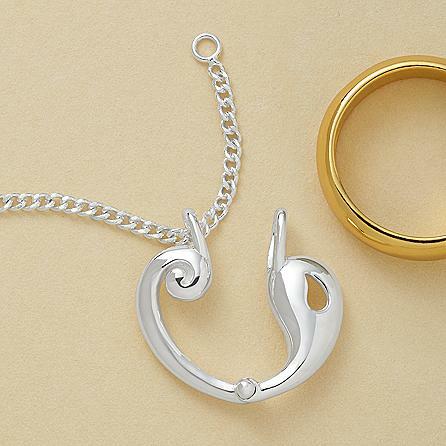 Choose gold or sterling silver.